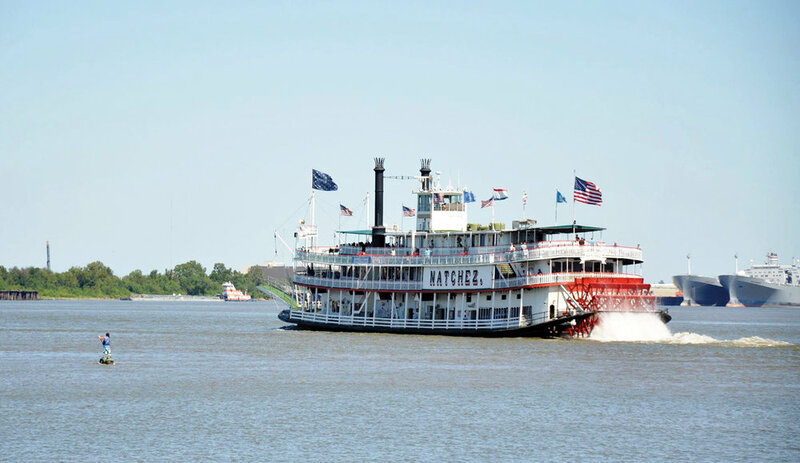 I’M RUNNING AN ADVENTURE ON THE MISSISSIPPI RIVER FROM 1-8 SEPTEMBER 2019. WHY DON’T YOU COME ALONG? Nobody on the planet has travelled further than Dave Cornthwaite on a standard Stand Up Paddleboard in one journey. 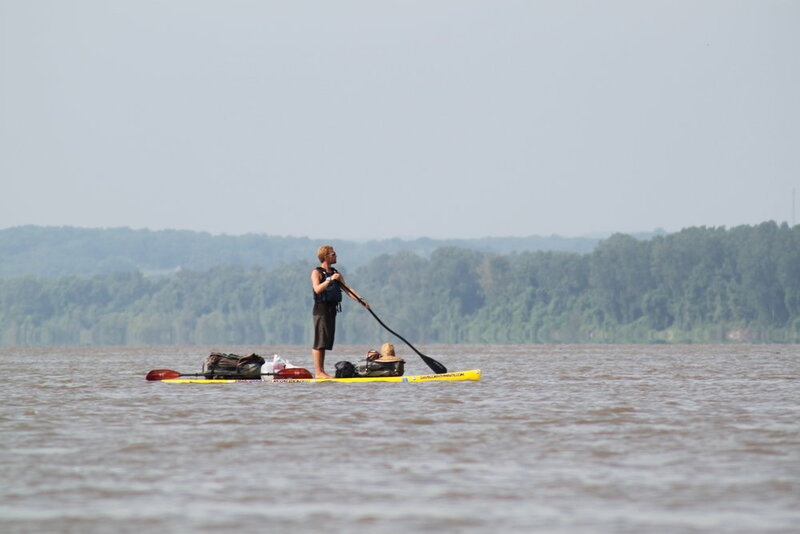 His descent of the Mississippi River took 68 days of paddling, 82 in total, and was the first time anyone had Stand Up Paddled the Mississippi carrying all of their own gear. Paddling on a Lakeshore River Rover with a Werner Bent Shaft Nitro paddle, this was the fourth journey of Dave's Expedition1000 project and the second time he had broken a distance record on a board (see skateboarding across Australia). Passing through 9 States and either through or over 43 dams (29 dams, all downstream from St Anthony's Falls in Minneapolis, include locks). Dave had to portage two of these locks, once because of a long queue of barges, the other because of a lockmaster with a gun. 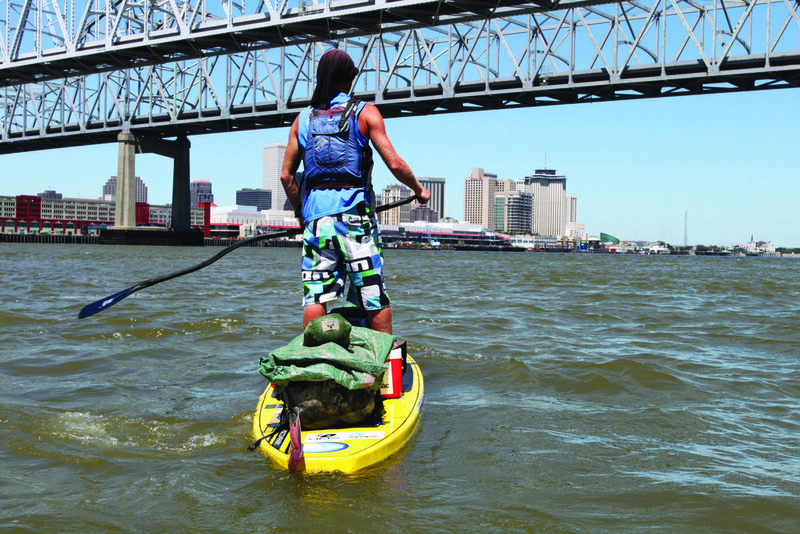 Dave carried everything he needed to survive in drybags strapped to the deck of his board. Dave paddled as an Ambassador for the Blue Project, encouraging people to join him on the water and develop an appreciation for the river that flowed by their doorstep. He was also raising funds for CoppaFeel!, the breast cancer awareness charity set up by Dave's friend Kris, who was diagnosed at the age of 23. The Lakeshore River Rover is the perfect board for long distance SUP touring. A displacement hull enables this 32" wide, 14' long board to cut through the water as well as offering stability for a grown man and a full compliment of expedition gear. Dave used a Werner Bent Shaft Nitro SUP paddle for this venture. Artemis, Dave's board, now lives at the Quawpaw Canoe Company under the watch of riverman John Ruskey.